A bottomless rainproof shoe cover assembly includes a shoe cover and a fixture. The shoe cover is formed into one body by injection molding. 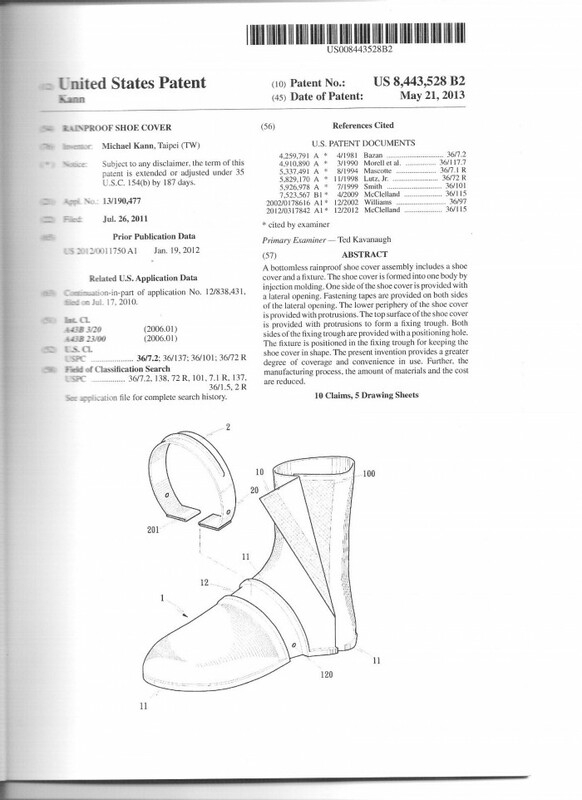 One side of the shoe cover is provided with a lateral opening. Fastening tapes are provided on both sides of the lateral opening. The lower periphery of the shoe cover is provided with protrusions. The top surface of the shoe cover is provided with protrusions to form a fixing trough. Both sides of the fixing trough are provided with a positioning hole. The fixture is positioned in the fixing trough for keeping the shoe cover in shape. The present invention provides a greater degree of coverage and convenience in use. Further, the manufacturing process, the amount of materials and the cost are reduced. 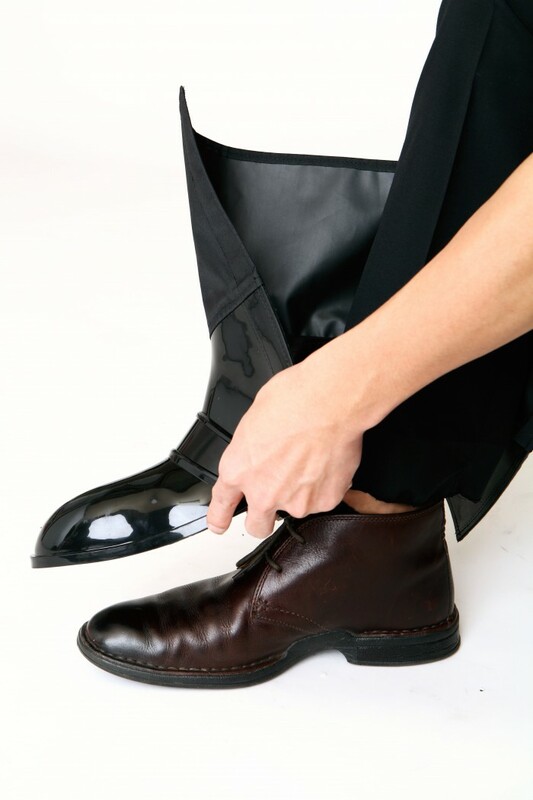 The newest design of bottomless rain boots could be wisely used. 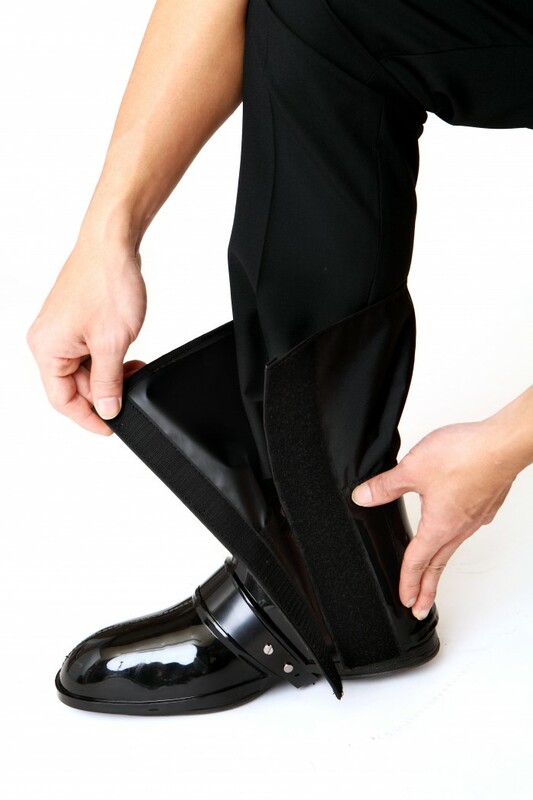 Especially the fabric could be based on different material, ex: anti-bite, fire-proof, snow-proof..
We get huge quantities orders but our molding machine are not enough to produce the products.The issued patent of(generation 1) bottomless rain boots haven't been sell in the market yet. 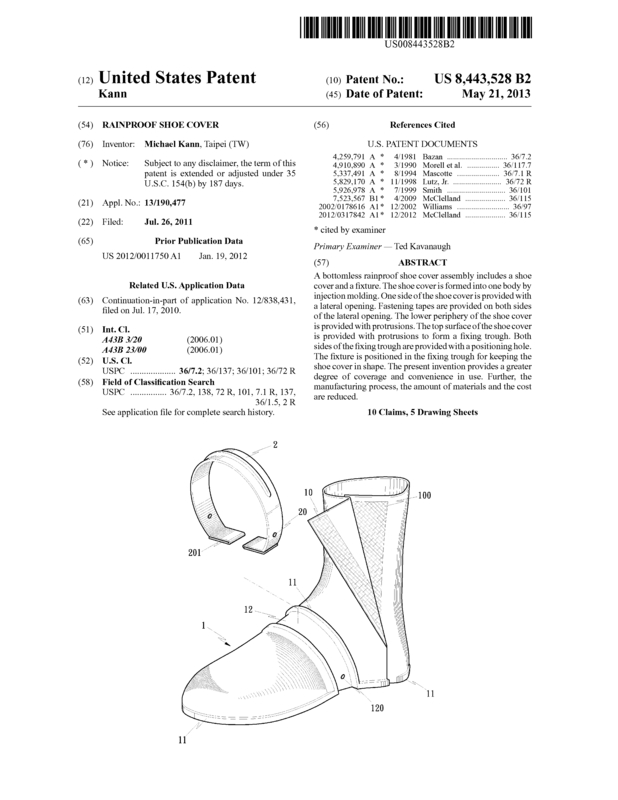 We also invented (generation 2) Bottomless rain spats and the patent is on pedning. The product already have been sold in our market with high popularity. 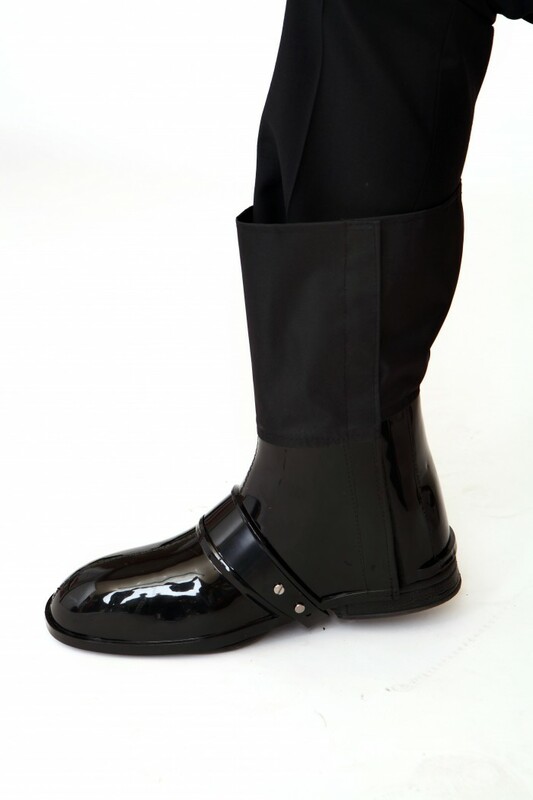 Our invention of (generation 1) Bottomless rain boots is very innovative and totally different with traditional rain boots. we are totally an oligopoly if we have more financial surppoting. Now what we are exactly looking for is a investor who could buy our patent or cooperate together to make a huge impact on market. We are looking forward to coopate with you and looking forward to your news. 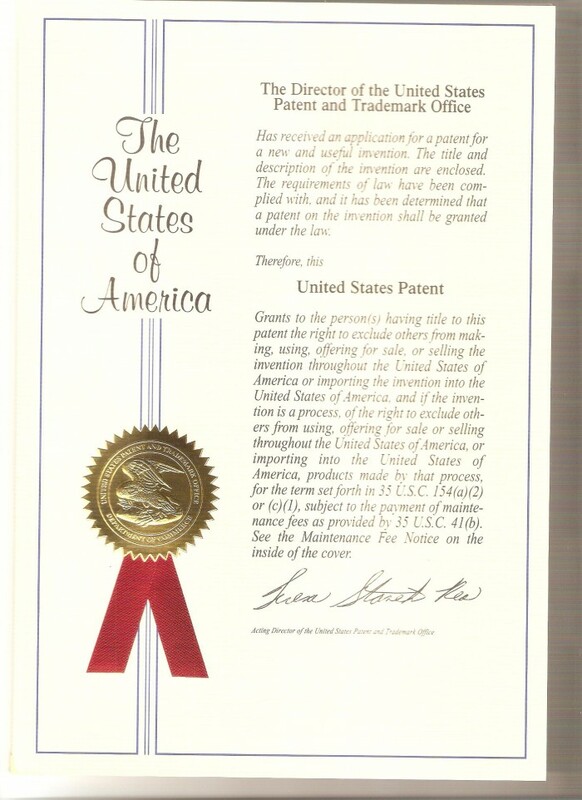 Page created at 2019-04-21 18:27:58, Patent Auction Time.